Drug Detox First Or Straight Into Treatment? 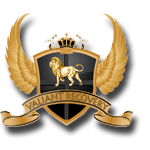 If you need detox and substance abuse treatment then you should start your search at Valiant Recovery. 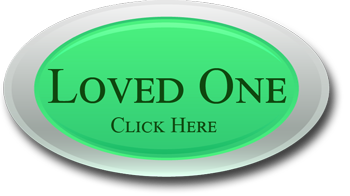 This facility can combine your drug detox and treatment into one plan, so you get the results that you want and the future that you deserve. 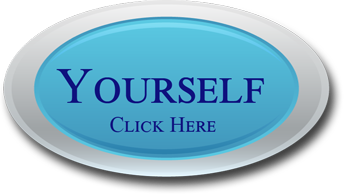 This facility offers an upscale detox and treatment program that is highly effective and gives you exceptional results. You do not have to suffer from drug abuse any longer, because there is a program that actually works whether you need detox, treatment, or both. The staff of compassionate professionals at Valiant Recovery understand how to break the cycle of addiction once and for all so that you have a clean future to look forward to. Our client-centered approach is on an individual basis and we not only offer a safe place to become substance free, but we offer counseling and support staff to help our clients with their particular withdrawal symptoms. When a person with a substance abuse problem comes to our Drug/Alcohol Detox Center for help, out first step in the process is to get them off the Drugs or the Alcohol and to get the remaining residual out of their systems. We provide a great environment so that the individual will increase their chances of recovery. It is thought by many researchers that nutritional deficiencies may not necessarily only present themselves as an abuse of substances, but those pre-existing deficiencies could have performed a catalytic part in the process of self-medication by means of substance and food abuse to start with. Substance abuse and the deficiency associated with personal health care which goes alongside with it many times simply further compounds and increase health issues. Correct nutrition will be essential to recovery. Drugs and alcohol are converted inside the liver in a process known as metabolization, the by-products of which are classified as metabolites (the substances your body converts the drugs or alcohol into). Our bodies can metabolize and burn up fat when an individual undergoes an event that causes the heart level to accelerate. Tissues within our bodies which are high in fats are metabolized very slowly. Stress can do this, just like strenuous physical activity, anger, or extreme emotion. Your body automatically distinguishes drugs as toxic, and it has to remove these toxins. A high fever can develop in some cases, and convulsions and unusual brain activity can also occur from alcohol withdrawal. You can have visual hallucinations and become extremely confused and agitated. One of the dangers during any alcohol detox program is that severe withdrawals symptoms and complications may occur. These are reasons why alcohol detox should always take place in a substance abuse treatment facility or medical facility. If you have a problem with alcohol then Valiant Recovery has a treatment program that can help you get clean, and stay that way for life.